On Tuesday, June 11 tenant leaders, representing seven NYCHA developments, held a press conference to announce their opposition to the NYCHA infill development plan. They were joined by a host of elected officials who also voiced their dissent, including Congress members Nydia Velazquez, Charles Rangel, Jerrod Nadler, and Speaker of the City Council, Christine Quinn. Those who spoke expressed that there has been a constant lack of transparency on the part of NYCHA, feeling as though the plan was formulated without any input from the communities to be affected. 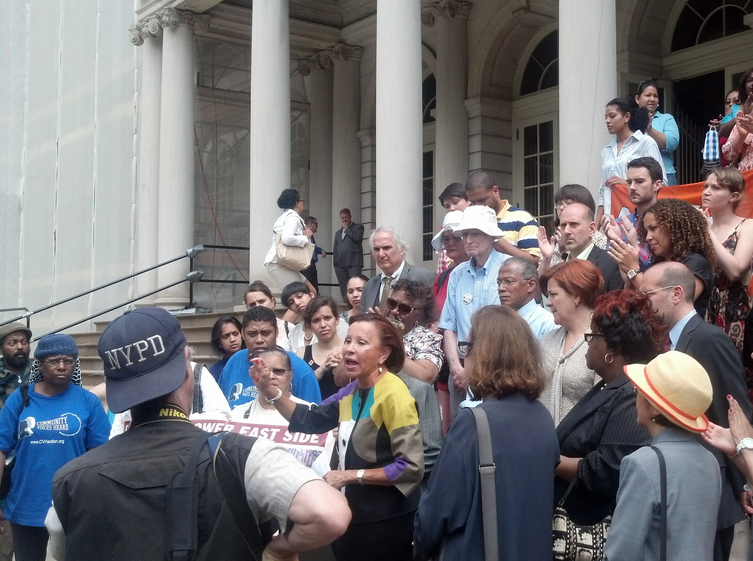 In addition, tenant leaders said that the infill development was not the appropriate means for NYCHA to procure funds. Inhabitants are wary of the unknown impact that hundreds of new luxury housing units may have on their public housing developments.